Solar Games is a studio based in Nice, on the French Riviera, that develops game-based learning solutions and team management tools. Founded in 2011 by engineers coming from the video-game industry, today Solar Games has a solid customer base, including major international companies and several professional training organizations. Based on a proprietary game engine, their solutions are used for content management, co-working and distance learning. 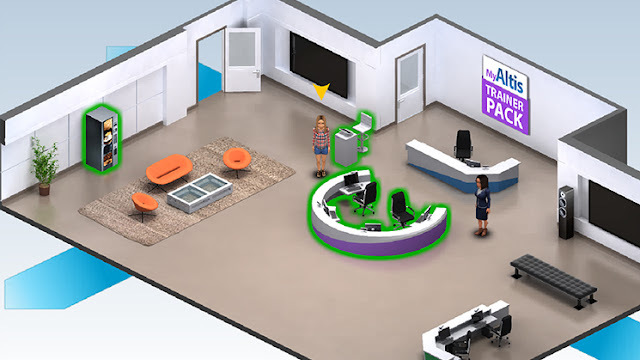 Their unique approach allows users to connect to the platform using customizable avatars to explore the various 3D environments, individually or in teams. Solar Games main product is MyAltis - Training Platform & Serious Games, a collaborative training center accessible via a regular Internet connection, with no installation requirements. 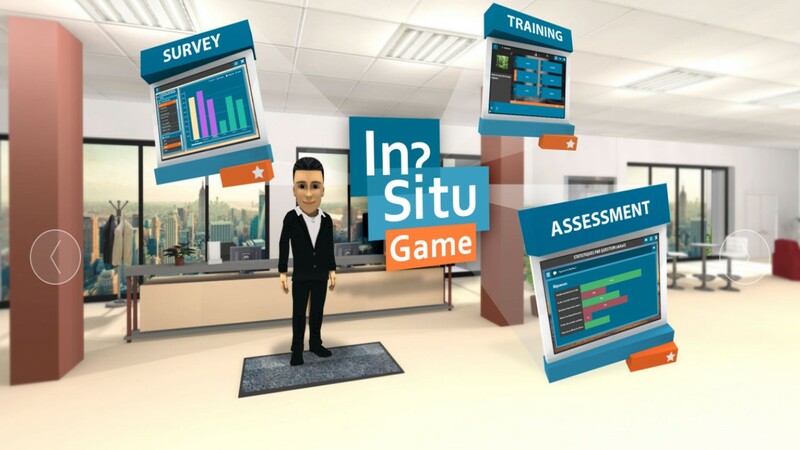 It allows all sorts of professional or academic content to be accessed using an isometric 3D virtual center. Up to 500 students can connect simultaneously to work alone or as part of a team. MyAltis allows trainers to easily manage all their courses: content, user accounts and performance. MyAltis is compatible with a wide variety of content types: the trainer can use a combination of multimedia documents, e-learning modules and mini “Serious Games” that are all available in the different virtual rooms within the platform. Content management, user groups monitoring and performance supervision are crucial features of the platform and all the generated data are presented in graphical format for easy analysis or exported to an excel spreadsheet for further processing. Visit the library to read documents, go to the video room to watch multimedia content, assess your understanding running an e-learning module or a “Serious Game”, are some examples among the endless possibilities. While moving on step-by-step, the learner will also be requested to exchange with others via the interactive forum or social network, accessible near the coffee machine. The trainer remains present at all times and can intervene directly either with group or individual messages, or by sending a general notification to all visitors. 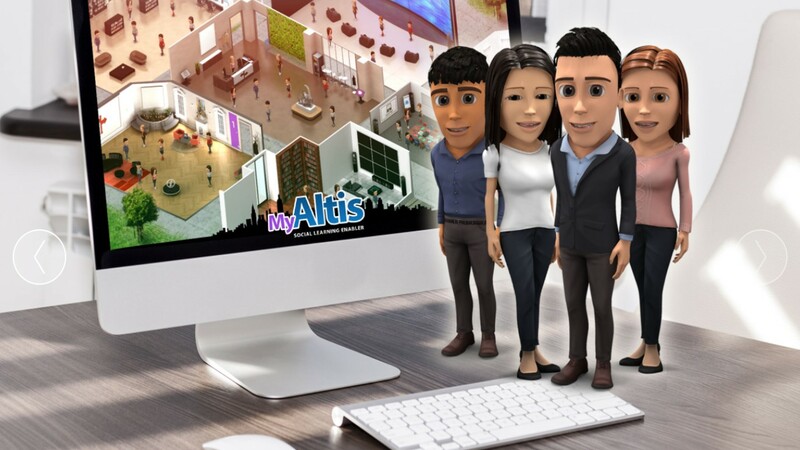 MyAltis is a new training experience: learners do not need to travel to work together. They mimic the way they usually learn when part of a class and move and behave as in a real training center, open 24/7. Accessible through your browser and operating in SaaS mode, MyAltis is fully secured and stored in Solar Games dedicated servers. Last August, Solar Games launched the Trainer Pack in pilot mode. The Trainer Pack (TPK) is an initiative reserved for training organizations and individual consultants, allowing them to have their own personalized and affordable Virtual Academy. They will be able to create, independently, their own training programs tailored to the specific needs of their customers.